Whether you're trying to keep livestock from roaming off of your property or trying to keep pesky deer out, an electric fence is the ideal solution. When installed properly, an electric fence will generate a mild shock to discourage the animal from venturing through the fence. While installing an electric fence is not an overly difficult job, electricity is involved so extreme care must be taken. Before you attempt to install one on your own, please read this article and check the Tips and Warnings found at the end. Find a weather-resistant location for your electric fence controller. This can be under an overhang or inside your basement or garage. 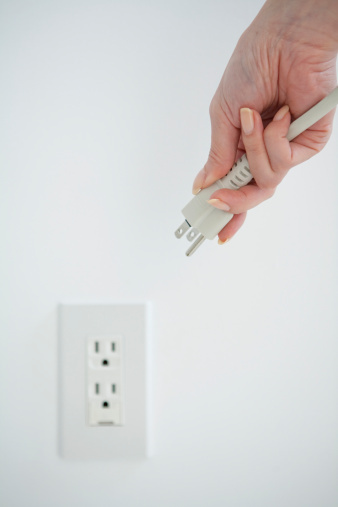 Wherever you decide to place it, make sure that there is an available 120 Volt polarized outlet (an outlet where one blade slot is slightly larger than the other). Install the electric fence controller, but do not plug it in yet. One grounding rod will need to be installed within 20 feet of the electric fence controller. The grounding rod should be at least six feet long (all of it underground) and made from copper or galvanized. Run a grounding wire (10 to 14 Gauge, 600V to 20,000V) from the controller to the grounding rod and use the grounding clamp to secure the wire to the rod. Ensure that the clamp bites through both the wire and the rod. For the best grounding system, install two more grounding rods spaced 10 feet apart and reaching six feet underground. Daisy-chain these rods to the grounding wire as well. Check the Warnings Section below for more information about grounding rods. How you install your fence posts will be determined by how much land you are protecting. If you have a farm or other large parcel of land, then you will want to space your posts between 25 and 75 feet apart. Use the post-hole digger to make the installation quicker and easier. 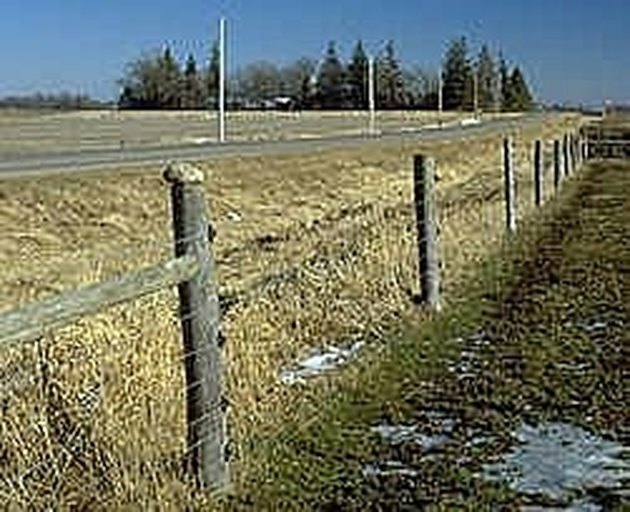 The distance between posts ensures that if something runs into the wire, there will be enough flexibility that it will not cause the connections to break. With the fence posts installed, it is time to install the wiring. Start your wiring with the farthest post from the electric fence controller. Make sure to use proper splices and tight connections throughout. Wrap your connections with insulation wrap to help reduce corrosion. The common height for an electric fence for horses is 48 inches. With fences this high, it is best to run wires closer together (about six to eight inches apart) near the bottom of the fence to prohibit smaller animals from getting in. The wires from the middle to the top of the fence should be spaced about 10 inches apart. One wire should be set at shoulder height of the animal to be contained. When each post is wired, use an insulated length of 10 to 14 Gauge, 20,000 Volt wire as a jumper to connect each of the rows of wire. For instance, connect a jumper wire from the top wire to the second, from the second to the third and so on. Now that the fence wires are connected, make your connection from the electric fence controller to the top wire of the electric fence. Once your connections are made, go back and re-check all of your connections along the fence. Do this before applying the power. When you are finished, insert the electric fence controller's plug into the available polarized outlet. There should be a light on the controller that will light up to notify you that the fence is working properly. Once your installation is complete and the fence is electrified, use a voltmeter to check voltage along the length of the fence to ensure the electric is flowing the entire length.